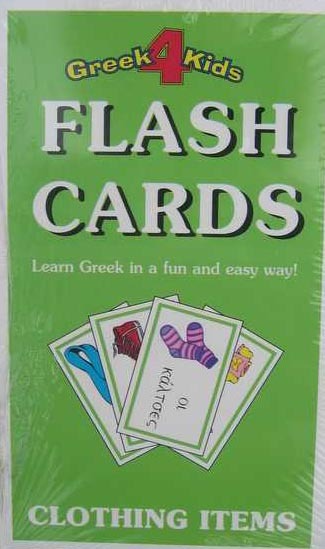 The front of the card shows an article of clothing, along with the correct spelling (including the correct article) of that word in Greek. On the back of the card, the word is spelled in English and has the phonetic pronunciation (perfect for those who can't read Greek! ).